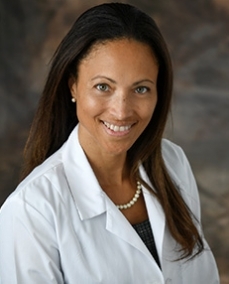 Nathalie Dauphin McKenzie, MD, MSPH, is award winning board-certified gynecologic oncologist who currently serves as Director of Gynecologic Oncology Fellowship at Florida Hospital Cancer Institute. Dr. McKenzie who speaks four languages, has extensive experience with radical tumor debulking surgerys, clinical trials and individualized chemotherapy. She serves a reviewer for multiple journals, is a member of the SGO Wellness Task Force, and the FL, ASCO Clinical Practice Committee. She has also served as principal investigator for numerous clinical trials, is a member of her institution’s clinical trial monitoring committee, has sat on the board of directors of non-profit organizations, and has gone on numerous medical missions and disaster relief to underdeveloped countries. Dr. Mckenzie's goal is to provide advanced sate-of-the-art, individualized, compassionate and wholistic care.